In the seventeenth century, everyone wanted to be Louis XIV. When Charles II was restored to the throne of England, he brought with him a taste for the sophisticated music of the Sun King. In this program, the elegant inventions of the ancien régime are contrasted with the extraordinary and quirky music of native English composers; the two styles find a wonderful synthesis in the hands of the great Henry Purcell. “Revered like rock stars within the early music scene” (New York Times), Quicksilver brings together leading historically-informed performers in North America today. 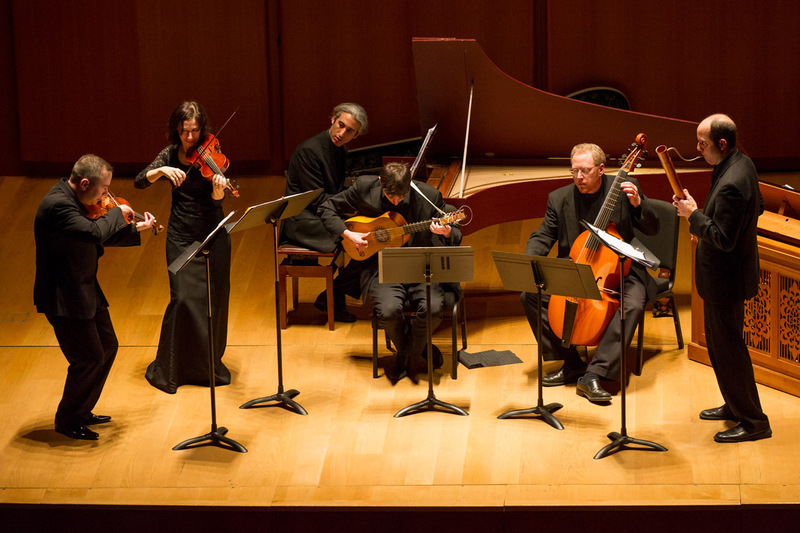 Described as “drop dead gorgeous with a wonderful interplay of timbres,” (Early Music America) and praised as “irresistible” (Fanfare Magazine), Quicksilver vibrantly explores the rich chamber music repertoire from the early modern period to the High Baroque. The ensemble has been featured at numerous music series and prestigious festivals, receiving critical acclaim, standing ovations and repeat invitations. Recent appearances include Carnegie Hall, CU Presents Artist Series in Colorado, Mostly Mozart Festival at Lincoln Center, Virginia Arts Festival, Chamber Music in Historic Sites-LA, Vancouver Early Music Festival, Early Music Now-Milwaukee, Dumbarton Oaks-DC, Houston Early Music, San Diego Early Music Society, Toronto Consort Series-Toronto, Canada and the Boston Early Music Festival, as well as conferences by the Society for Seventeenth Century Music and American Musicology Society.